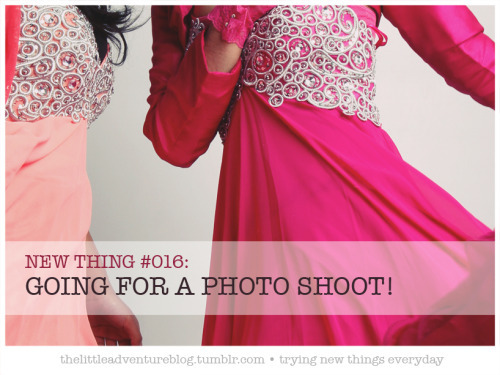 New thing #016: Going for a photos shoot. so for my mom’s birthday present, she wanted us to wear these formal dresses, and take a bunch of photos at a professional studio. xD so we did. and at first, i felt so out of place wearing a dress and jewellery and headpieces (i’m not that girly LOL! XD), but the photo shoot itself was the best! i felt like a model LOL except then i kept making these “model faces” which look so stupid on me, because i have a baby face XDXD LOL. it was still really funnnn. :3 a great new experience.